Find out how political parties and regulatory philosophies mesh at the NCUA when regulators craft proposed and final rules. 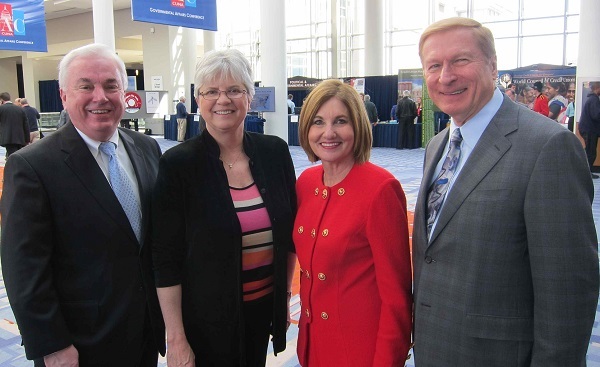 Former and current NCUA Board members (from left): Dennis Dollar, JoAnn Johnson, Debbie Matz and Michael Fryzel. NCUA Board Chairman Debbie Matz would prefer to finalize both the stress testing and home-based credit union rules with three votes.